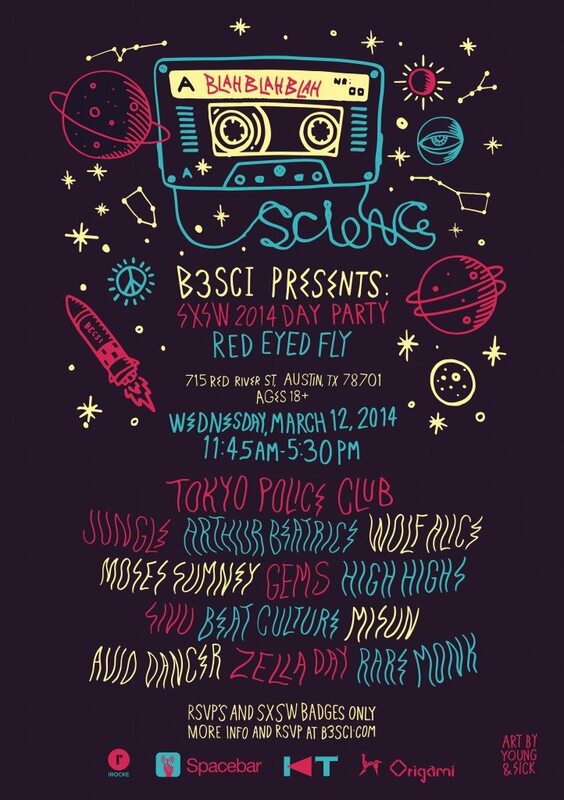 Team B3 is very pleased to announce the 2014 edition of our B3SCI PRESENTS: SXSW Day Party in Austin, TX. Join us as we kick off SXSW Music on Wednesday, March 12th at Red Eyed Fly (located at Red River & 7th St) with a full day of live sets from the best/coolest/need to know emerging talent right now, great food & drinks (of course), and excellent art from NYC-based rising music/media star Young & Sick. 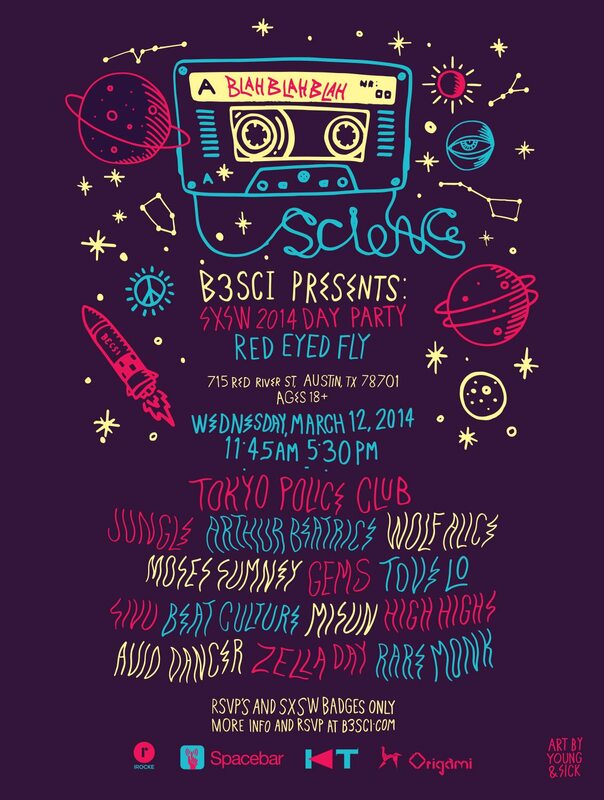 We’re inviting you to THE Wednesday SXSW day party! Entry for the event will be granted to SXSW badge holders as well as guest list via RSVP (below). Be sure to arrive early because we can’t guarantee entry once we’re at capacity. Can’t make it to Austin? We’ve got you; tune into our live HD Audio Streaming powered by Spacebar and IROCKE for select live sets from the show. RSVP NOW CLOSED (limited space will be available at the door). Details and more info on the event below and check it out on Facebook here.